“You say that I am.” Jesus had put the confession that the council sought back into their own mouths. Still, even though the God of their salvation had come into the world, they would not believe. They not only rejected him, they rejected and persecuted those who did believe, seeking to silence their testimony. Unbelief, persecution, imprisonment, dispersion, and even death will never stop Christ’s word from being proclaimed. These things only encourage the Spirit who is in Christians all the more. In the face of such threats, the Spirit of God God rushes upon his people so that they proclaim his word as one person. He puts the good confession in their hearts and mouths. 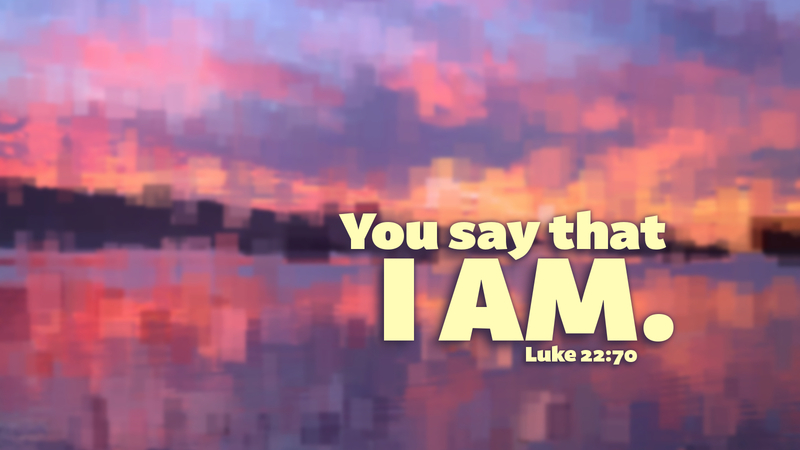 By grace, they profess that Christ is God, the great I AM. Prayer: Rush upon me, O Spirit of God, that I may make the good confession. Amen.